He’s the last one in the barn the night before show day. The show kids need sleep, so he takes care of the last-minute jobs. Before he goes to the house, he double checks the show box making sure his favorite comb and new clipper blades are there. The show kids can’t always be trusted to put things back. He takes daily care seriously. He’s up early to feed and rinse before his farm-work or job in town begins. He’s not afraid to rouse the show kids out of bed to put in their work too. He loves a good joke and will pull one over on the show kids, his travel buddies or the random lady across the tie-outs. Not much embarrasses him. His laugh can be heard all over the show barn. He’s a showmanship coach. He doesn’t let the show kids get away with haphazard practice or unfinished work. He believes that the show kids must want to get better, want to put in the work if they really desire that banner. He expects their best because he gives nothing but his best. He’s the calf breaker. 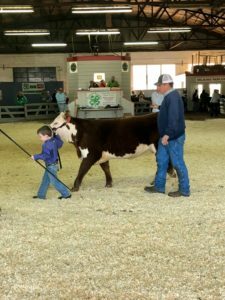 He uses his strength, his smarts, his experience to get the heifer or steer to the point where the show kid can take over. Sometimes it goes easy. Sometimes it’s a rodeo, leaving the show kid on the outside of the pen teary-eyed. That’s okay. He knows that the uneasy show kid, after a little practice and a whole lot of drive, will soon be the proud show kid. His library is full of sale catalogues, farm magazines, and bull books. Usually in the vicinity of the bathroom. He’s a livestock nutritionist. He searches the internet and social media for any valid tips and tricks he hasn’t thought of yet. He’s a fitter. Putting every hair in place. 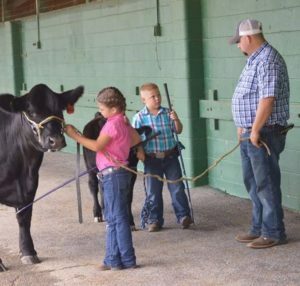 Clipping, combing, spraying even as the kid is walking the calf, the lamb or the hog in the show ring. He makes sure the bills are paid and wants to save money wherever possible – but take him to the Weaver trailer at a livestock show, especially when there are new products, and he can “make it rain” cash or credit. He’s the lamb hauler. The trailer puller. The all-night driver. He makes sure he’s well caffeinated on those long hauls. He knows everyone else in the truck will be asleep. His hand signals outside of the show ring could rival that of any baseball coach. He’s quick to point out what the show kid could’ve done better. He’s also the first to give the show kid a hug. A bear-hug. A side-hug. A pick you-up-and-swing-you-around hug. Those hugs can mean anything from “congratulations” to “I’m proud of you” to “yeah, we got a raw deal on that one.” Same goes for a fist-bump. He gives the best pep talks. He’s the one the show kid’s look up to. Their hero. He’s a shavings spreader. 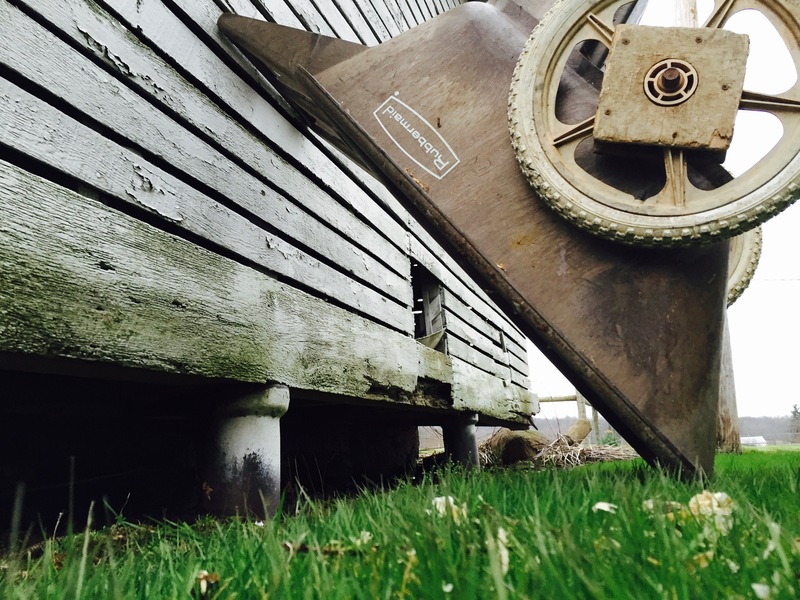 A pooper scooper. A tail twister. The official rope halter holder. 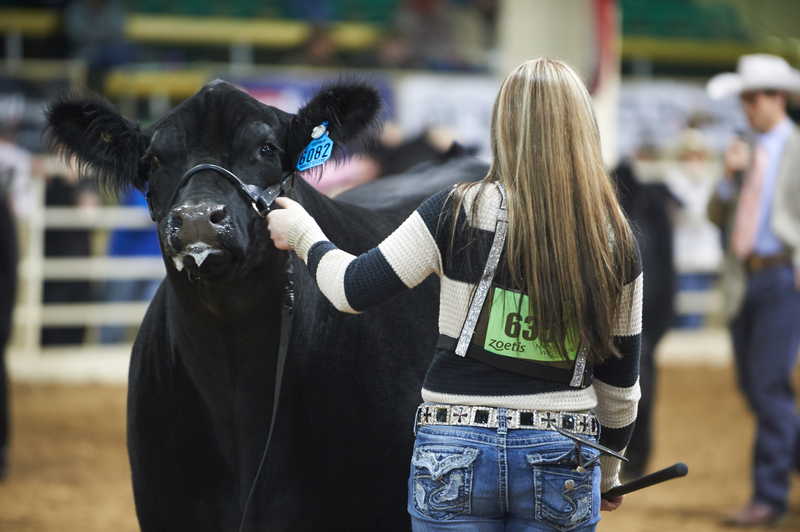 He gives all he has – body, heart, and wallet – to his family’s livestock show dreams. 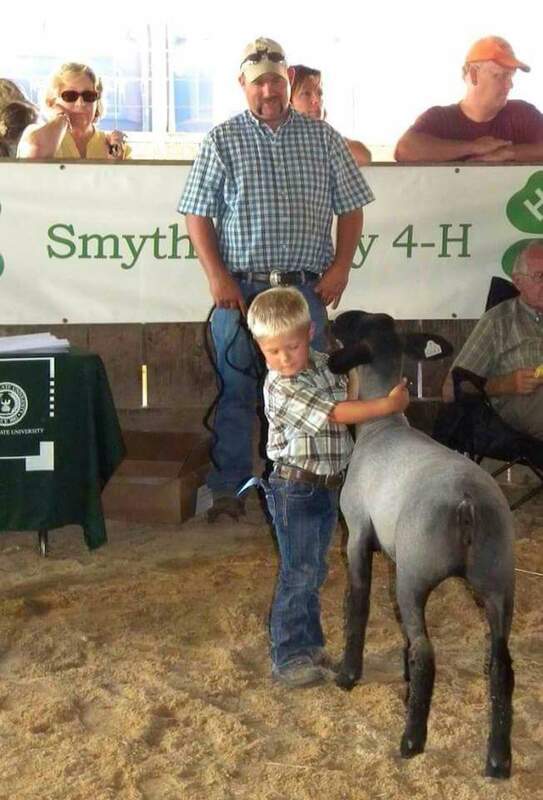 He’s a Stock Show Dad. 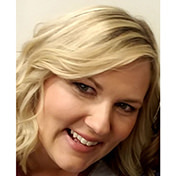 Kelly and her husband, Chad, raise cattle, sheep and two children in the mountains of southwestern Virginia. 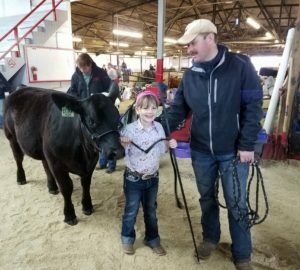 Their kids are the 4th generation to grow up on the farm and show livestock. 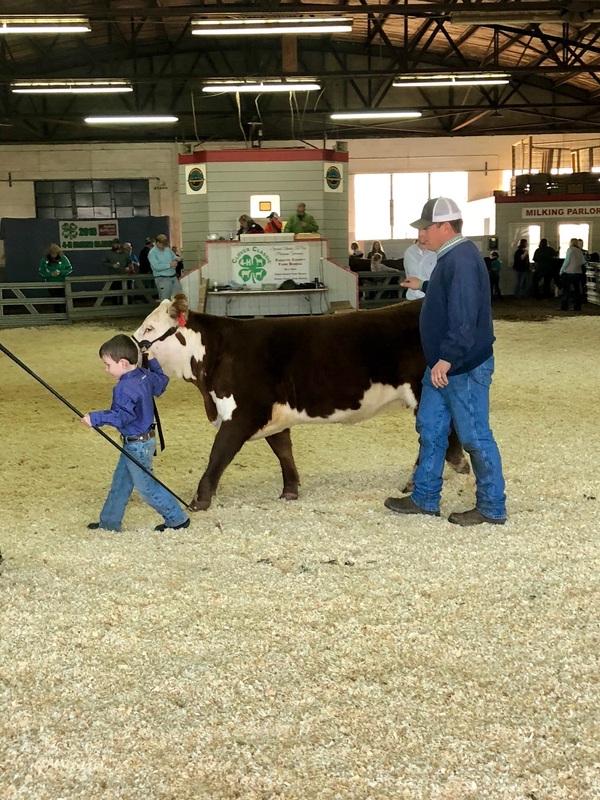 Some of the family’s very best days happen in the show barn. Some of their most contentious days happen there too. Kelly believes that a kid will build life-long friends showing livestock. After all, she is the girl that married the boy she met in the show ring. She loves educating children, especially about agriculture. 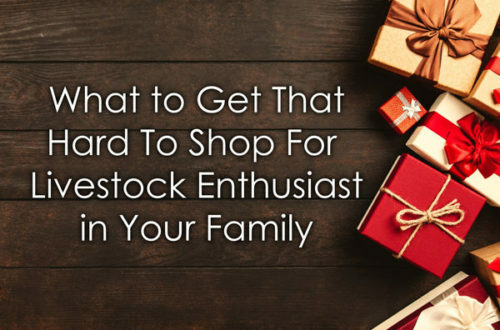 She believes that even if a kid won’t grow up to work in agriculture the kid still needs to grow up to be a knowledgeable consumer. Oh, and that ranch dressing should be considered a food group.